The Makita Cordless Reciprocating Saw is a mainstay on any job site and can certainly be a very useful addition for the do-it-yourselfer. You don't have to spend much time on a site before you find yourself using a Makita sawzall. 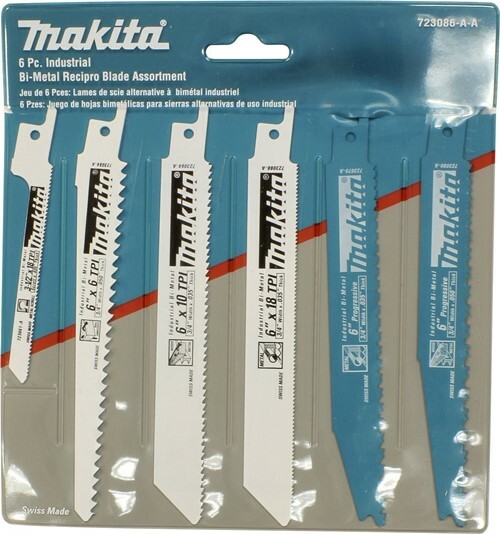 Whether it be 2x4's you're cutting, 750MCM wire for a windmill project, or quick demo of a commercial office renovation, with the right blade, the Makita reciprocating saw is a quick, light, convenient tool that will cut just about anything you need. With its turquoise high impact plastic body and thick, textured rubber nose cover, these heavy duty reciprocating saws can withstand the repeated use and abuse usually found on a job site. Drop it, kick it, toss it into your job box or into the truck bed tool box, these heavy duty tools can take it and still perform. My reciprocating saw came with the LXT407 4 piece 18v Makita combo kit that I got from, where else? Amazon. In April of 2013, I paid $448.74 plus $63.04 shipping to Alaska from “Quality Distributing” for a total of $511.78 (remember, this is for the whole 4 piece tool set). I chose them based on their five star 95% rating from about 22,000 ratings. That high of a rating with that many people tells me that they can be trusted, and sure enough I got what I paid for in reasonable time with shipping from Oregon. However, you can get it for $410 and $17.99 shipping for a total of 427.99 from “Lowest Depot”. That’s quite a bit of savings if you’re ok with only 5 ratings as of this writing in Jan 2014, and shipping from New York. 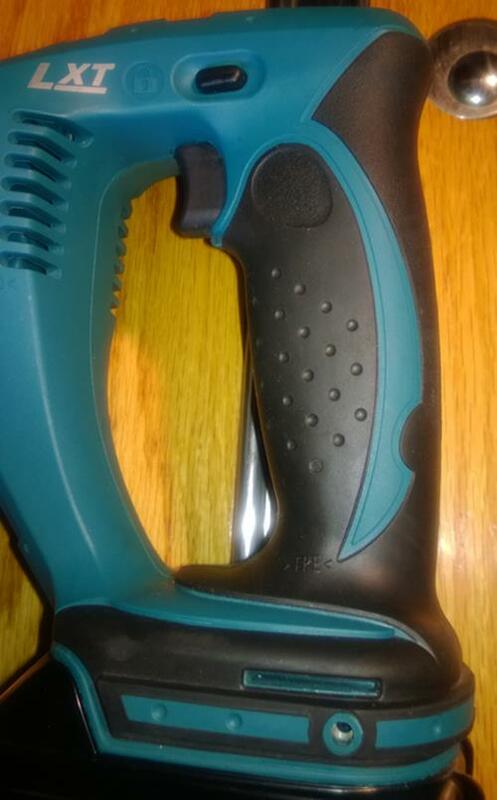 My first impression of the BJR182 XLT model of the Makita cordless reciprocating saw is “burly”. They claim that the 7.9 lb. weight of this tool is supposed to be light enough to lessen fatigue and that may very well be true, but it’s still no lightweight and I see that as a good thing. First, that extra mass does a good job of buffering the rapid back and forth motion of the blade. Second, much of that mass comes from the obviously heavy-duty body of the tool. Coupled with the tough rubber cover on the nose makes this a tool that can take not only years of use, but abuse as well. Third, to a lesser degree you will have more weight with the 3.0 amp hour battery as opposed to the 1.5 amp hour battery which, of course will give you more run time without having to mess around with finding and changing batteries. Although smaller batteries will make it a bit lighter to hold and also reduce its size a bit. The handgrip is textured and rubberized and there are textured gripping locations on the nose and body for a sure grip while cutting. 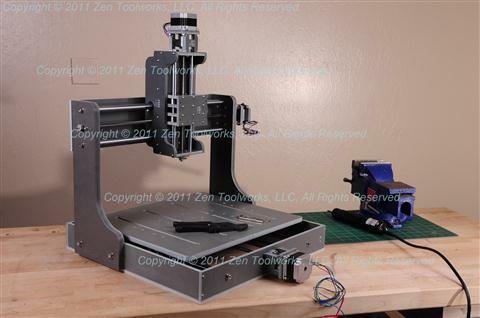 The foot is easily adjusted with the push of a button to change the cutting area of your blade as one area wears. A recessed button easily accessed by the thumb houses a trigger lock to prevent accidental activation. 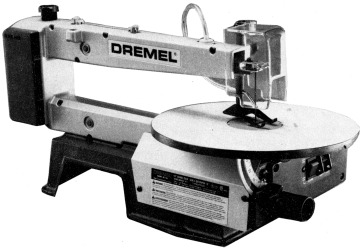 Noise levels of Reciprocating saws can range from 96-112 dbs. ALWAYS use hearing protection when using them. None yet (sorry, I'm working on it). 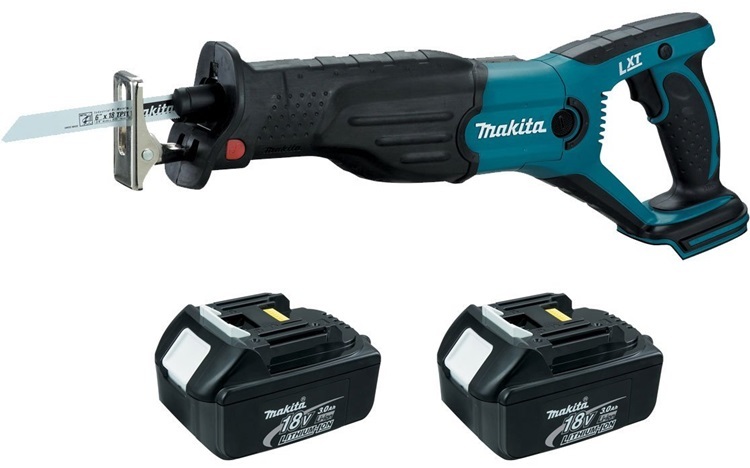 Do you know of any cons for the Makita reciprocating saw model BJR182? Tell us here so others can know. The BJR182 Makita cordless reciprocating saw is a solid, heavy duty reciprocating saw for the professional that can handle pretty much any job you can throw at it for years and do it quickly and simply. And it has a three year warranty. I’ve used this saw for about a year now and in that time I’ve used it to cut through emt tubing, galvanized metal, wood, and more. 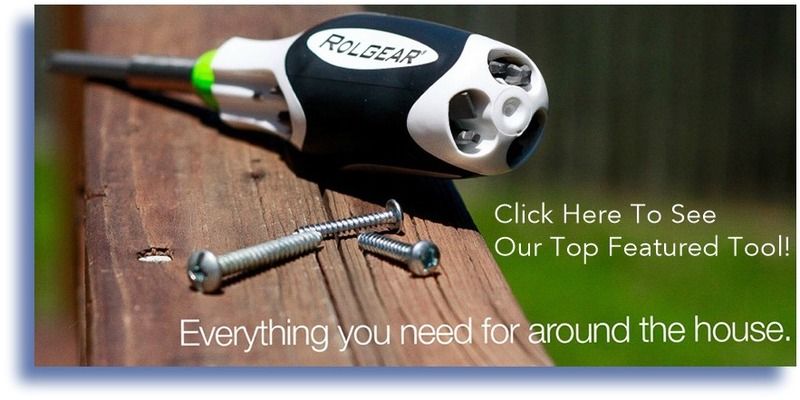 While a sawzall type tool shouldn’t be your first choice in making precision cuts or for cutting large material (that’s best left for a miter saw, circular saw, table saw, etc. 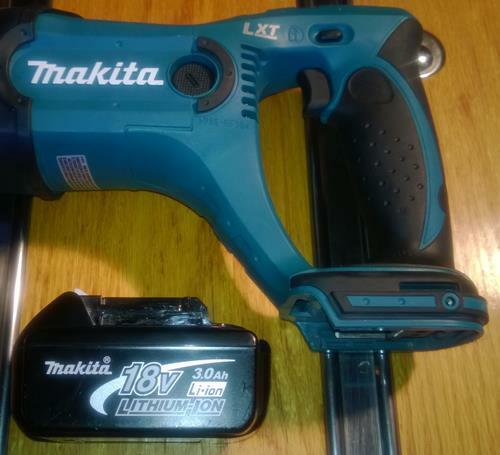 ), the convenience of cordless Makita tools in general makes the Makita reciprocating saw a quick and convenient tool that is money well spent. Like in most things, there is a trade-off depending on which blade you choose to do the work you need. A larger gullet (the space between blades) may get the work done faster by cutting out more material but will have a much shorter life and make for a rougher cut. More teeth per inch (TPI) will cut slower (good for metal) but will have a much smoother edge. On the job site, you’re likely to see a bi-metal, tapered back 14-18TPI pitch blade for the Makita cordless reciprocating saw that will get you through most things from demo to specific cutting. Amazon has a good Swiss made six blade pack with a variety of blades ranging from 6TPI-18TPI and two variable pitch blades. Plenty to cut most anything you need.